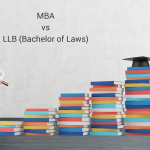 Those who choose to do an LLM may be unsatisfied with the lack of in-depth coverage of their favorite law subject during their LLB and are eager to engage in further study, whilst others might see an LLM as something to give their CV more clout. A Master’s degree is quite welcomed in barristers’ circles, as it shows that you have an intellectual mind and a genuine passion for law. Some barristers choose to do a human rights or international law-oriented Master’s degree. Others choose to do a more commercially-oriented LLM, especially those seeking a training contract at one of the commercial law firms. An LLM is a must if you are interested in a legal academic career or if you are considering working for an international organization (such as the UN or EU) or some of the NGOs. 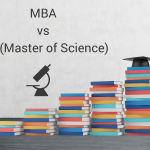 Does it make sense to do an MBA after law school or an LLM? 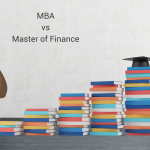 Although it is not a logical path for most law graduates, there are some who do an MBA after law school. Lawyers add a welcome, diverse perspective to an MBA program. But the law graduate applying for an MBA program needs to answer some tough questions, like why they need to do an MBA after law. The main reason given is that they do not really enjoy being a lawyer and enjoy the business side of things more. But for an interviewer, you will need to give a good answer regarding why you need an MBA; not why you need to quit law.